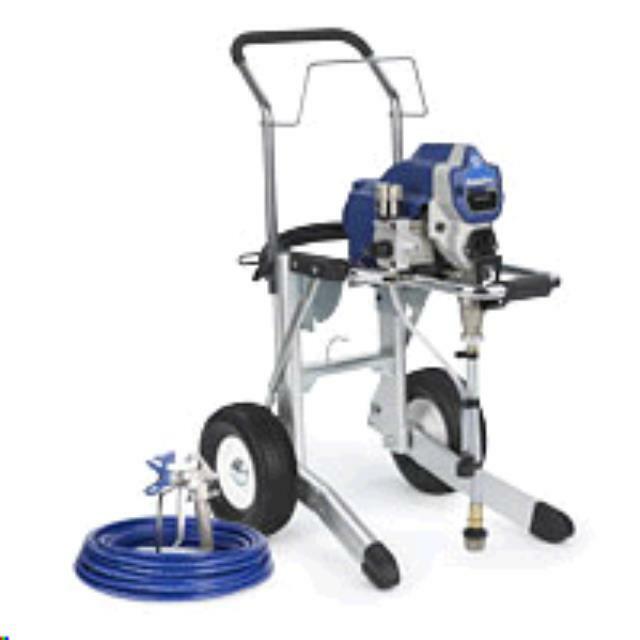 AIRLESS PAINT SPRAYER GRACO 230 Rentals Ft. Collins CO, Where to Rent AIRLESS PAINT SPRAYER GRACO 230 in Ft. Collins, Wellington, Greeley, LaPorte, Loveland, Windsor CO and all of Northern Colorado. Electric Airless Paint sprayer, for latex paint, indoor and outdoor. will pump out of a one gallon can or a 5 gallon bucket. various tip sizes are available for different uses. A new tip does a better, more even paint job, less streaks, and uses less paint, saving $$$$$$. * Please call us for any questions on our airless paint sprayer graco 230 rentals in Fort Collins, Wellington, Greeley, LaPorte, Loveland, Windsor CO and all of Northern Colorado.